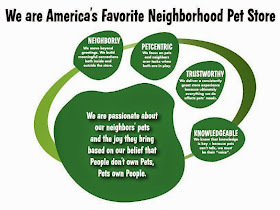 Pet-centricity runs rampant through all Pet Supplies Plus facilities, and our Seymour, Indiana distribution center, better known as the Pet Depot, is no exception. Lizzy the Cat was found hanging out in the Pet Depot parking lot last September. She hung out in the security office for a short while before she met eyes with HR manager Lynn and VP of Operations Jim. And pow! It was love at first sight. Not wanting to play favorites, Lizzy immediately made herself the proud owner of both Lynn and Jim. She splits her time between their two homes now and spends a good deal of time at Pet Depot where she can have both of them nearby. Of course, Lizzy stays busy when she’s working at Pet Depot. 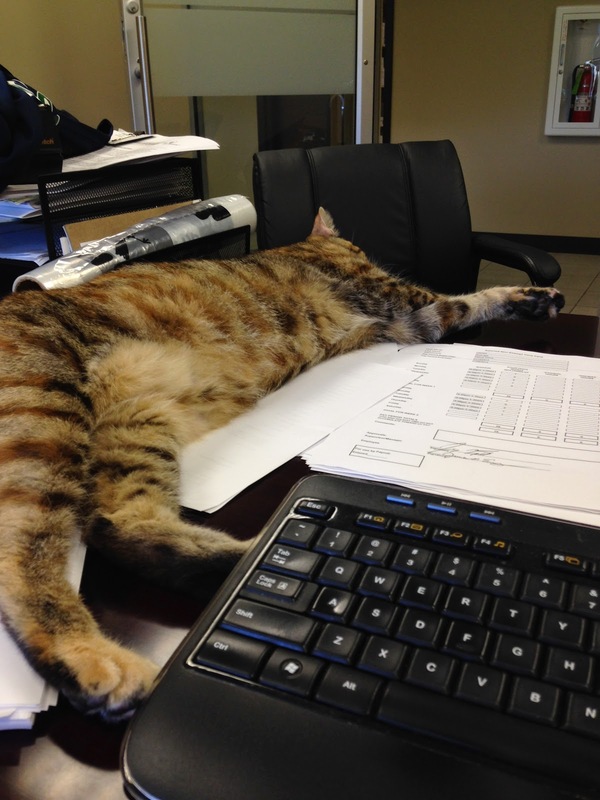 Because her feline talents lie in the HR realm, she recently assisted co-worker Lisa in processing payroll for the week. No wind was going to blow those time cards away, not on Lizzy’s watch! 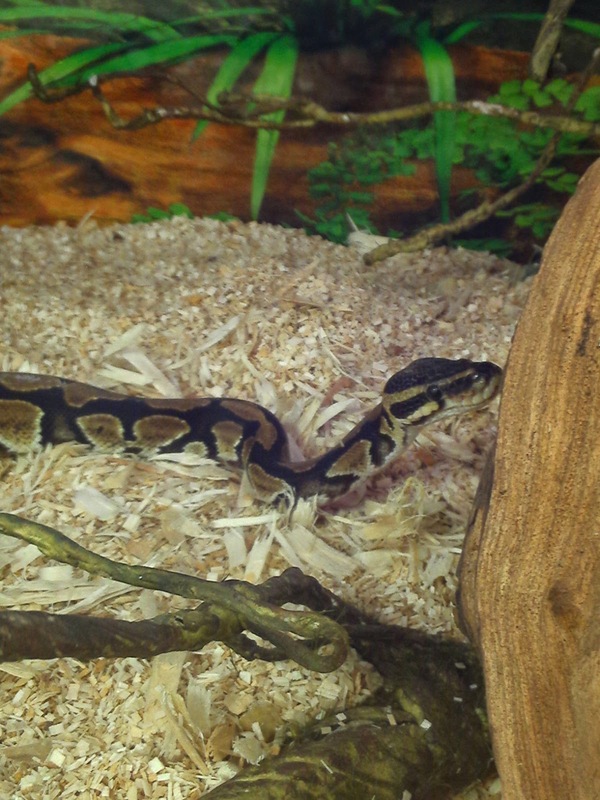 Recently, Lizzy was joined at Pet Depot by Lilly the ball python. Lilly also made her own way to Pet Depot, not by hanging in the parking lot until she was discovered Lana-Turner style, but as a stowaway in a truck! Possibly an escapee from a pet center in Ohio, Lilly traveled rogue all the way to Seymour, where she was met by maintenance team member Jeff Rumph. Jeff captured her and introduced her to her new home, a fabulous and roomy terrarium. She, too, is now a full time resident at the Depot and happy as a clam! Now Lilly and Lizzy are masters of all they survey, enchanting our Pet Depot team members with their charm and affection.